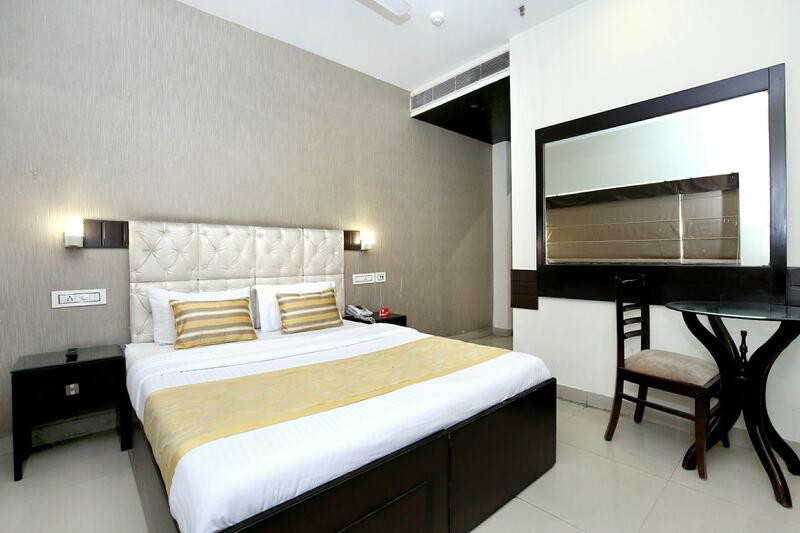 While visiting Chandigarh, JH E18hteen is a fine accommodation for guests. The rooms are equipped with basic and modern amenities for the comfort of the guests. The textured walls add charm to the overall decor of the room. The rooms are done in sober shades, keeping the ambience soothing and peaceful. Dining and seating area can be used by guests to relax and unwind. The in-house restaurant offers delicious delicacies for guests. Guests can stay connected to social media as the hotel also offers free Wi-Fi service. Elevator and parking facility is also available for the convenience of the guests. The hotel is also surrounded by many markets and restaurants where guests can enjoy and have tasty meals.